You're the ultimate vaccine! But, to get stronger, you need to eat as many baddies as possible. Shoot. Eat. Grow. Bosses! Tip: Eating enemy bullets also fills up your power meter, and fast! When an enemy is small enough, you can eat them! Get close to the enemy. Press'S' or 'J' to eat. Edible enemies will glow! Eating also fills up your power bar. Hold the secondary tire key to charge it up! Press 'A' or 'K' to fire secondary weapon. Fill the bar J tunes and your firepower increases! The bar at the top shows how much you've eaten so far. The bigger it is, the more you'll grow! That's all you need to know, good luck! 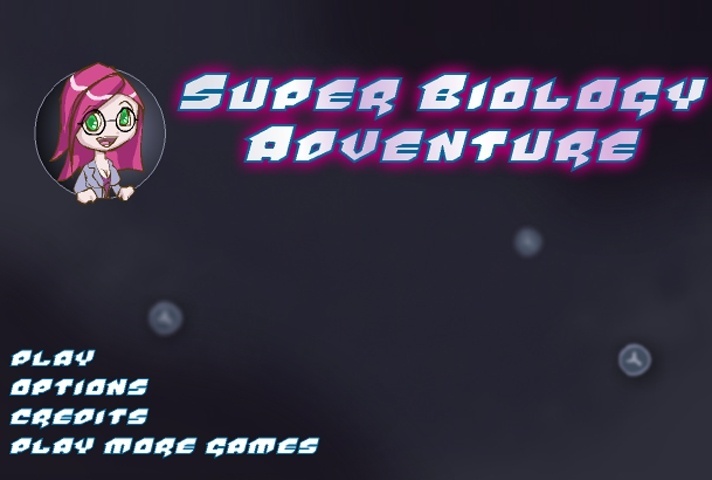 If you want to play Super Biology Adventure games online you have come to the right place! GamesLoon adds new Super Biology Adventure games every week. This is your game portal where you can find the biggest collection of free Super Biology Adventure games online. Do not forget to rate our Super Biology Adventure free online games while playing!